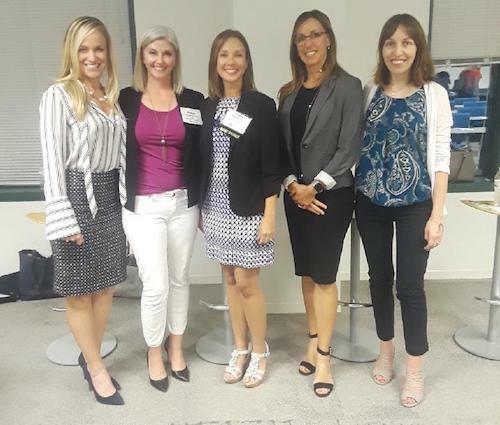 WITI Tampa Recap: Think Like an Entrepreneur! The panel did a fantastic job of talking through entrepreneurship challenges and rewards. It was great to hear the courageous stories of going out to start a business or pitching for funds. It was insightful to hear legal perspectives and advice on pitching. The most profound advice was during a pitch, women are usually asked to explain how they will deal with the risks. So when pitching you need to switch the conversation around from the risks to the rewards and sell them on your concept. There was definitely bravery and drive in all the speakers and those in attendance really enjoyed the discussion. The event was a huge success thanks to the panel, Microsoft, Tampa Bay Wave and the WITI Tampa Network Leadership Team!